In an historic event next week, Pope Francis will make his first visit to the United States. It is expected to generate as much political interest as it will religious concerns. On Thursday, he will address a joint session of Congress, and on Friday he will speak to the United Nations General Assembly. He is widely expected to focus on climate change, a topic on which he shares much political ground with President Obama. 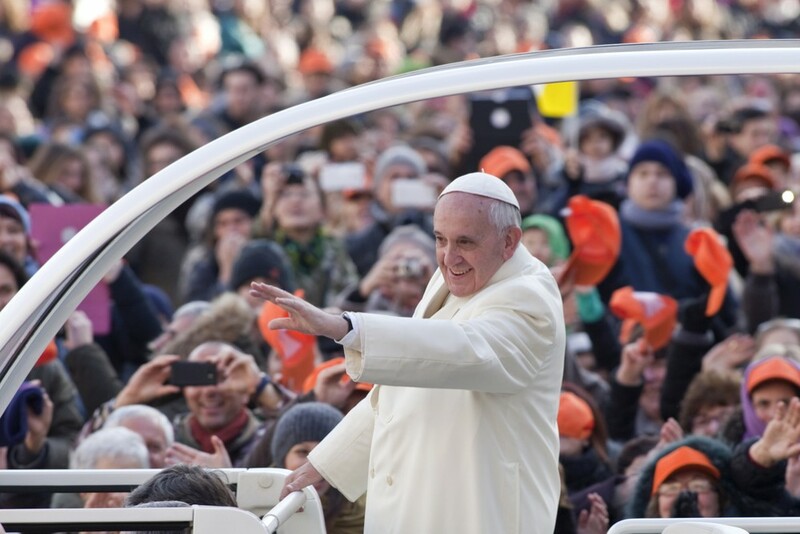 This will not be the first time Pope Francis has ventured into the global warming debate. The June 2015 release of his encyclical “Laudato si” marked his initial foray into the discussion. Therein, Pope Francis echoed President Obama’s tune, claiming there exists “solid scientific consensus” that human activities are causing a “disturbing warming” of the climate, which left unchecked will result in a type of planetary Armageddon manifested by escalating temperatures, melting polar ice caps, rising seas, more frequent and more severe weather, ecosystem degradation, and plant and animal extinctions, all of which he claimed will severely affect humanity. But are the pope’s concerns over potential global warming based upon the best available science? Or are they significantly overinflated? Is the biosphere rapidly spiraling downward toward planetary Armageddon? Or is it marching forward toward biospheric rejuvenation? Is limiting fossil fuel use a policy prescription panacea? Or is it a recipe for social and economic disorder and regress? Is the biosphere rapidly spiraling downward toward planetary Armageddon? Or is it marching forward toward biospheric rejuvenation? Numerous other problems with the apocalyptic vision of our future climate have been filling the pages of peer-reviewed science journals for many years now, evidenced most forcefully by the work of the Nongovernmental International Panel on Climate Change, which has highlighted the results of thousands of scientific studies challenging the alarmist and model-based vision of the planet’s future. This large and well-substantiated alternative viewpoint contends that rising atmospheric CO2 emissions will have a much smaller, if not negligible, impact on future climate, while generating several biospheric benefits. Concerning such benefits, it is a well-established fact that atmospheric CO2 is the major building block of nearly all life, as it is used by plants in the process of photosynthesis to construct their tissues and grow. As numerous scientific studies have conclusively demonstrated, the more CO2 there is in the air, the better plants grow. They produce greater amounts of biomass, become more efficient in using water, and are better able to cope with environmental stresses such as pollution, drought, salinity, and high temperatures. The more CO2 there is in the air, the better plants grow. The implications of these benefits to society are enormous. One study, for example, calculated that over the 50-year period of 1961 to 2010, the direct monetary benefits atmospheric CO2 enrichment conferred on global crop production amounted to a staggering $3.2 trillion. Projecting this positive externality forward in time reveals it will likely bestow an additional $9.8 trillion in crop production benefits between now and 2050. By ignoring these realities, policy prescriptions calling for a reduction in fossil fuel use are found—on this basis alone—to be ill-advised. Yet there are still other important reasons to reject them. We live in a time when approximately half the global population experiences some sort of limitation in accessing the energy they need for the most basic of human needs, including the production of clean water, warmth, and light. One-third of those thus impacted are children. An even greater portion finds its ranks among the poor. How can a society turn its back on these individuals and deny them the right to increase their energy and fossil fuel use so that they can increase their living standards? It is reprehensible to even consider such an action and it is certainly morally wrong to do so. The world needs more energy, not less. How can a society turn its back on these individuals and deny them the right to increase their energy and fossil fuel use so that they can increase their living standards? Taxing or regulating CO2 emissions is an unnecessary and detrimental policy option that should be shunned. Why would any government or religious institution advocate to increase regulations and raise energy prices based on flawed computer projections of climate change that will never come to pass? Why would any government or religious institution advance policy that seeks to destroy jobs, rather than to promote them? Why would any government or religious institution want to deny increasing energy access to those in the world who are in most need of it? And why would national governments or religious institutions actually “bite the hand that feeds them”? It is high time for our world leaders to recognize and embrace the truth. Contrary to misguided assertions, political correctness, and even government or religious edicts, carbon dioxide is not a pollutant. Its increasing concentration only minimally affects our climate, while offering great benefits to the biosphere. Efforts to regulate and reduce CO2 emissions will economically burden society and yield little to no measurable impact on Earth’s climate. Craig D. Idso is the founder of the Study of Carbon Dioxide and Global Change and an adjunct fellow at the Cato Institute.